Due to popular demand we are now offering a pair of OEM genuine Mazda Frankenstein bolts. 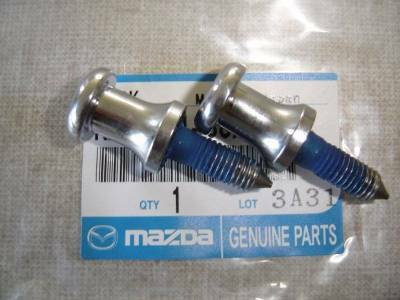 These bolts are necessary for hard tops and will fit your stock plates. This part includes FREE USPS SHIPPING.